With today’s competitive healthcare environment, keeping your current patients happy is just as important as growing your practice. With the growth of online review sites, patients have gained the upper hand when it comes to promoting or demoting medical practices. In effect, your patients have become a powerful extension of your marketing strategy so making them feel special can only work to your benefit. A good doctor’s visit can mean different things to different patients. Patients come to the doctor’s office with individual needs, but all patients expect the care they receive to be safe, effective and responsive to their needs, including their emotional needs. Today’s healthcare market has tipped the scales in favor of consumer demand so meeting the full spectrum of patient needs is important. For these reasons, the patient care experience has as much to do with making him or her feel special as it does delivering quality healthcare. When prospective patients are looking for a new doctor, what they’re really looking for is a person they can trust with some of the most intimate details of their life. In this respect, the patient experience becomes a very personal matter. When the doctor and staff go the extra mile to make patients feel special, they not only meet patient expectations but show how much they value the trust patients have put in them. 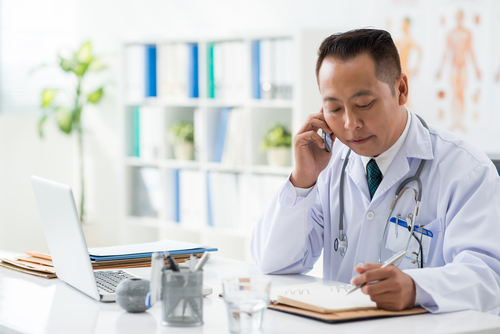 Physician practices, regardless of the type or specialty, often encounter the same types of appointments on any given day. For instance, a practice may conduct four physical exams, treat three conditions involving colds or flu and tend to four injuries on Monday with variations of the same throughout the week. As routine as this may be for the doctor and the clinicians, it may be new or even scary for some of the patients. In turn, doctors and clinicians end up answering the same questions over and over again. One way to address this is by anticipating the types of questions a patient will ask during the course of a procedure or appointment. By explaining what’s going to happen beforehand, you can help ease patient concerns. An example of this would be the often-asked “is it going to hurt” question before giving a shot or vaccine. Online patient portals offer another way to be proactive with patient concerns. These sites allow patients to access their medical records, view educational materials and offer a host of other convenient features. In this way, patients can be more informed, and hopefully, less anxiety-prone when visiting the doctor. Connecting with your patients on a personal level can go a long way towards making them feel special. Small personal touches help establish a connection over time. One way to add a personal touch is by remembering small details about a patient’s life that come up during conversation. This can be as simple as asking how a home renovation is going or commenting on a child’s success in school. Information contained in the patient’s file, such as birth dates, offers other ways to incorporate personal touches in your daily practice. A patient’s birthdate is an opportunity to surprise him or her with a small gift, such as a gift card around their next appointment. These small gestures convey thoughtfulness and make patients feel like more than just a name on a file. As soon as patients step across the threshold into your practice, an impression is formed. In effect, the environment of a practice is the first impression they have of the people who work there. A warm and inviting environment can go a long way towards making patients feel comfortable and happy. A comfortable environment also makes wait times more bearable. There are many ways to make your practice more inviting, starting with the furniture. Comfortable, ergonomically correct furniture can help reduce strain on the body and reduce feelings of tiredness when waits are longer than expected. Decor enhancements may include warm lighting as opposed to harsh, overhead fluorescent lights. Tasteful wallpaper or paneling can also add a nice touch to the lighting environment. Adding life to the practice environment also helps. Use artwork to add splashes of color that inspire and stimulate the senses. Potted plants situated throughout the office offer another way to add life to the environment. Considering the added demands placed on medical providers to meet insurance, documentation and other requirements, long wait times are unavoidable in some instances. Long wait times are also one of the most common complaints made on online review sites. While some scheduling tweaks may reduce this problem, enhancing your patients’ waiting room experience can help make unavoidable waits go by more quickly. Making it easy for patients to engage in activities while they wait is one way to make the time pass quicker. Since many patients schedule doctor’s appointments during their work breaks, providing free WiFi allows them to be productive while they wait. If you have the space, setting up actual workstations or desks is another added touch that shows patients you value their time. Placing iPads, pre-loaded with games, social apps and magazines, in the waiting area also helps pass the time. Ultimately, staying busy reduces the stress and anxiety caused by long wait times. Over time, adding one or more of these features to your waiting room can help cut back on negative online reviews. 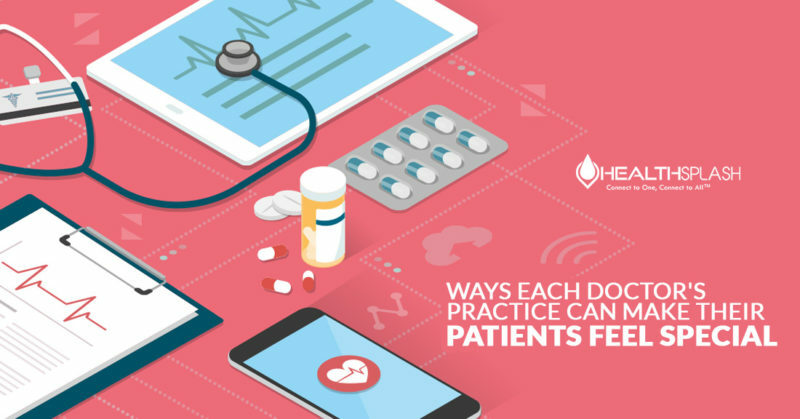 This bodes well for your practice when a prospective patient goes on an online doctor search. Patient engagement in the treatment process has a considerable effect on health outcomes as well as on the patient’s satisfaction with the care he or she receives. Making it easy for patients to access information and better manage appointment scheduling cuts down on much of the frustration that comes with trying to coordinate healthcare services. Online patient portals accomplish just that. This level of convenience makes it easier for patients to take an active role in their treatment. It also fits in nicely with today’s busy lifestyles. In the long run, this level of engagement has positive effects on patient health outcomes as they become more invested in the treatment process. The Internet offers an ease of use that allows you to compartmentalize all of the essential information about your practice in one place, namely a website. Setting up a website makes it possible to post the type of general information that all patients need at any given time. General questions, such as what to do when they need a refill or how to go about scheduling appointments, can all be accessed without having to call the office. A website also offers a prime opportunity to acquaint patients (and prospective patients) with interesting tidbits about your practice and the people who work there. Another page or section can be used to elicit patient feedback or suggestions on how to make the practice better. Ultimately, a website enables your practice to connect with patients in any number of ways. Nowadays, attentive listening is a luxury that few people seem to have time to afford. Really hearing what another person says in conversation not only improves communication but strengthens the connection between the people talking. While doctors and clinicians tend to be natural multi-taskers and may well hear everything patients say, the patient needs to feel as if he or she is being heard. For these reasons, it’s important for patients to know that you’re listening. Listening with the eyes is a good way to show patients they’re being heard. Filling out paperwork or looking at a computer screen while patients talk takes away from the doctor-patient interaction. Attentive listening also means asking questions to clarify what’s been said or asking questions to delve deeper into a patient’s problem. 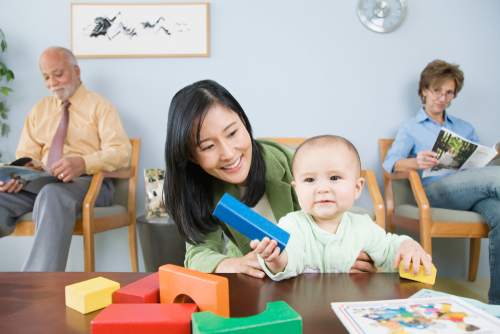 These behaviors communicate the type of caring and empathy that patients expect. When patients leave your office feeling better than when they arrived, positive online reviews are more likely. Reviews that relay a compassionate, caring staff can make all the difference in terms of which practice patients ultimately choose for their family. Few things are more frustrating than trying to figure out a bill when you don’t feel well. Even in the best of circumstances, complicated billing can leave a sour taste in your mouth. Taking the time to help patients understand the billing process can help avoid the hard feelings that develop when a person thinks he or she is being overcharged. By training staff to explain the bill when collecting payment, patients can leave with a sense of knowing what they’re paying for. Patients often need to communicate with you or your staff between appointments and may well become frustrated when they can’t get in touch with someone. Incorporating systems that enable patients to exchange secure messages with doctors and staff help open up the lines of communication between appointments. This level of access tells patients that you’re invested in their well-being. Today’s technology also offers video conferencing options that allow for face-to-face interactions between doctor and patient. Video conferencing works especially well for elderly patients or patients who feel too sick or weak to come to the office. 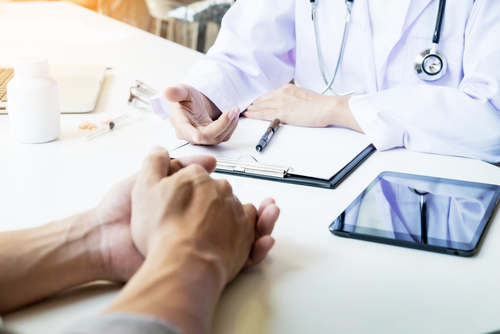 Over time, these types of accessibility improvements can go a long way towards forging long-term relationships between patients and their healthcare providers. Practices offering treatments that insurance doesn’t cover, such as cosmetic enhancements, can score points with patients by offering discounts and promotions. Offering 10 percent off for every five treatments or a discount for patients who haven’t been in for a long time encourages repeat business. Pre-paid treatment packages offered at a discount is another way to go. Considering how costly some of these procedures can be, there’s a good chance prospective patients will come across a few positive reviews of your practice when searching for cosmetic doctors. Patients’ satisfaction not only hinges on their in-office experience but also on whether a practice follows up on important developments. For instance, if your patient displays significant symptoms during an appointment, calling to see if he or she feels better later on in the week shows a level of caring and concern that patients want to see. These types of calls can be made by the doctor, the nurse or another clinician. The same goes for when patients undergo lab work or testing. By doing so, patient concerns can be addressed early on. 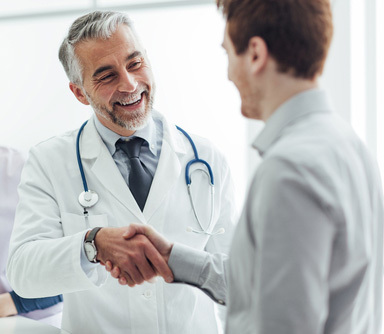 Taking the time to explain what a particular result means so that the patient understands builds trust and respect within the doctor-patient relationship. When your patients feel like you understand what they’re going through, they’re more likely to recommend your practice to people they know. All in all, making patients feel special has a ripple effect that benefits both you and the patient in the short- and long-term. Today’s patients value convenience and compassion just as strongly as they value competency. And with the online world being just a click away, they’re making their feelings known in a way that can affect your bottom line. So, you can help ensure the reviews you get reflect your practice in a positive light. Kelley has been in the healthcare industry for the past six years. 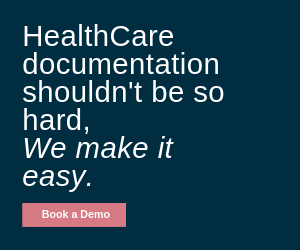 Prior to joining HealthSplash, she worked in the acute and long-term care sector of healthcare where she witnessed complicated and broken processes every step along the way from finding care, to receiving care, and finally in paying for care. She joined HealthSplash because of its dedication to changing the world of healthcare for everyone. It’s comprised of go-getters all sharing the common vision and goal of to transform the lives of those who encounter and interact with the HealthSplash platform. Kelley attended Marshall University where she earned a BA in Public Relations, and she went on to earn her MA at Pittsburg State University in Mass Media Communications.